Opaeka'a Falls is located near the Wailua River State Park in central Kauai. 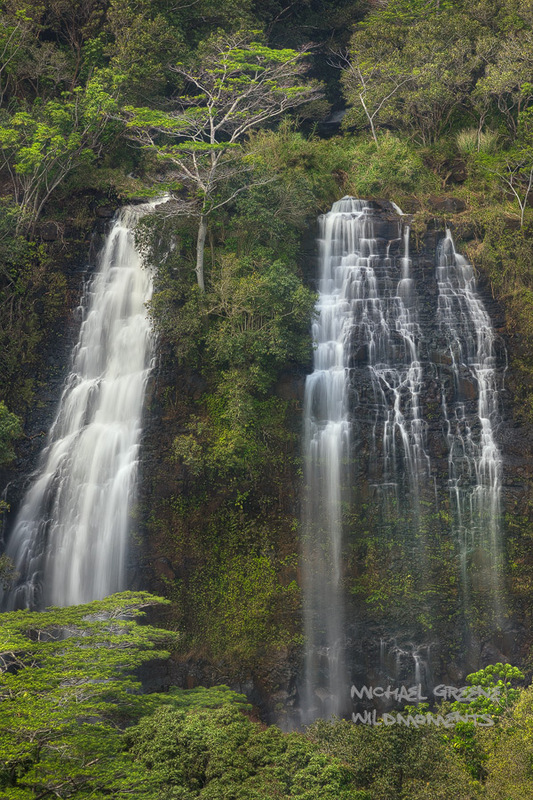 Opeakaa Falls is part of the north branch of the Wailua River, the 151-foot falls span 40 feet and are easily observed at the Opeakaa Falls overlook off of Kuamoo Road. Photo © copyright by Michael Greene.